Winners of the Trade Suppliers and Retail-to-Business category at the Internet Business Awards 2013/14, and Highly Commended in the Building and Property category in the 2014/15 awards, MyPaintbrush.co.uk provide a wide range of quality painting and decorating supplies across the UK and internationally. 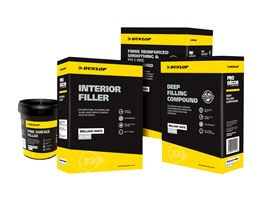 For more information please visit http://dunlop-decorators.com/ or call 01782 591160 to speak to a member of the Dunlop team. Follow Dunlop on Twitter at @DunlopProDecor.